Lake Mary is located in Seminole County, Florida. As of 2006, Lake Mary’s population was 14,718. Lake Mary is a part of the Orlando-Kissimmee Metropolitan Area. Lake Mary offers many well planned residential communities, excellent schools, prominent businesses, and a variety of shopping outlets. 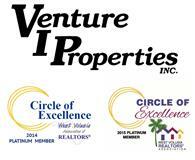 In 2007, Money Magazine voted Lake Mary as the #1 place to live in Florida and the #4 place to live in America. Lake Mary was incorporated in 1973. 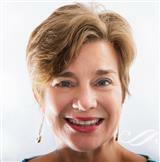 The city was named after the wife of a minister who settled on the northern shores of the lake. Lake Mary started as a village of two tiny settlements called Bent's Station and Belle Fontaine. They were located along the railroad that ran between Sanford and Orlando. Lake Mary began as a citrus based agricultural community. During the eighties and nineties, Lake Mary began to grow exponentially in residential and economic development, providing many living communities and hundreds of thousands of square feet of office, retail and industrial uses. 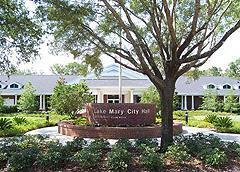 Lake Mary has provided parks and recreation systems for the use and enjoyment of all city residents and visitors. Lake Mary’s Community Center serves the social, cultural, recreational, and educational activity hub of the citizens of the area. The Sports Complex provides areas for basketball, baseball, softball, soccer, tennis, skateboarding, skating, and bicycling. Liberty Park offers large picnic pavilions, trails, playgrounds, and a boardwalk. If golf is your game, close by there are four of Central Florida's top-rated country clubs boasting championship golf courses: Heathrow, Alaqua, Timacuan, and Magnolia Plantation country clubs. Lake Mary offers an endless variety of water recreation. The Wekiva River is just minutes away and offers the boaters great views of the natural beauty of Florida. The St. Johns River is world renowned for its fishing and wildlife. Lake Monroe holds the Citrus Sailfest, which is the largest inland sailing regatta in the nation. And don’t forget that the beaches and all the fun the ocean has to offer are close enough to enjoy anytime! This Festival is recognized as a premier, juried art show that combines first-class entertainment with world-class arts and crafts exhibits. 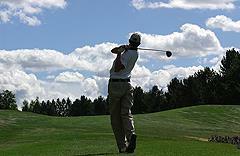 Designed by golf course architect Bobby Weed, this semi-private course offers 18 holes of challenging play at par 72.